Having extra ammo is always a good thing. Having it readily accessible is even better. 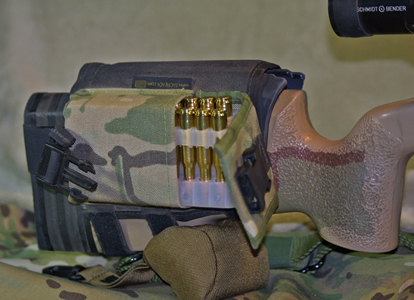 The Mag Pack was designed for rifle shooters with detachable magazine systems installed on their weapons. In addition to holding magazines, the Mag Pack can also hold a box of M118LR or two Federal plastic ammo holders.